Aspirinox Alloys Inc is a recognized manufacturer, exporter, and supplier of high-quality Alloy Steel F5 A182 Flanges. To allow easy functionality and interchangeability, these flanges are designed to have standardized dimensions. Our offered range of ASTM A182 F5 Alloy Steel Flanges fabricated to join the sections of pipe or join pipe to a pump, pressure vessel or any other equipment. They are very important equipment for connecting pipes and other equipment. Alloy steel F5 A182 weld neck flanges are supplied to aid industrial, high-pressure service like condensers, evaporators, heat exchangers etc. 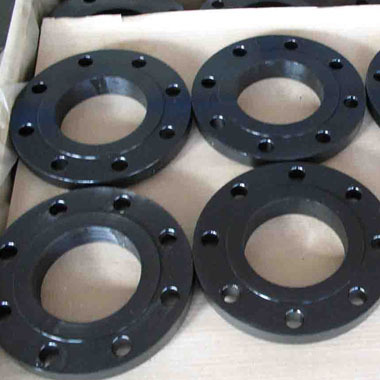 Alloy Steel F5 A182 bind flanges are instrumental in connecting pipes of nominal bore size without welding and are suitable for High-pressure hydraulic systems. The Alloy Steel F5 A182 Slip On Flanges are available in different range of diameters, different sizes and different wall thickness depending on the different functions. Alloy steel F5 A182 flanges is also available in the form of lap joint flanges, plate flanges, threaded flanges, reducing flanges and many more. These flanges are widely used in power generation industry, gas processing industry, pharmaceutical industry, heat exchangers industry, sea water equipment industry, oil drilling companies and many more. Contact us today or send an inquiry to get the best price quote! Specifications for Alloy Steel F5 A182 Flanges. If any specification is not mentioned here, please use the contact button for quick quote. Request the latest Alloy Steel F5 A182 Flanges List. Please click on the request a quote button or click here to request the updated price list and ready stock information along with your requirement. Aspirinox Alloys INC maintains a stock of all standard items and can export them at best price for Alloy Steel F5 A182 Flanges.